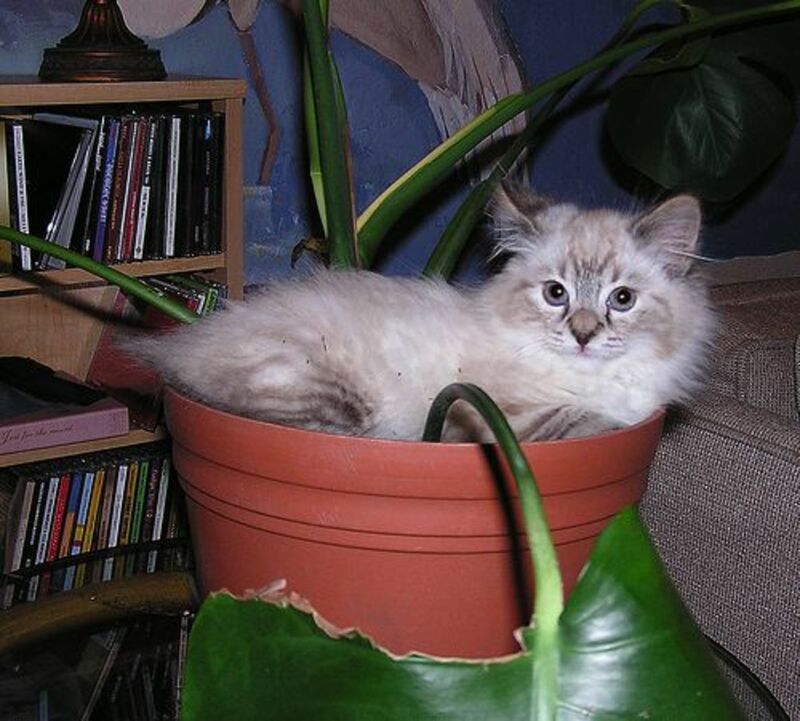 Growing up, my family sometimes had cats. Riveting story, right? Since college, I've almost always had at least one cat. 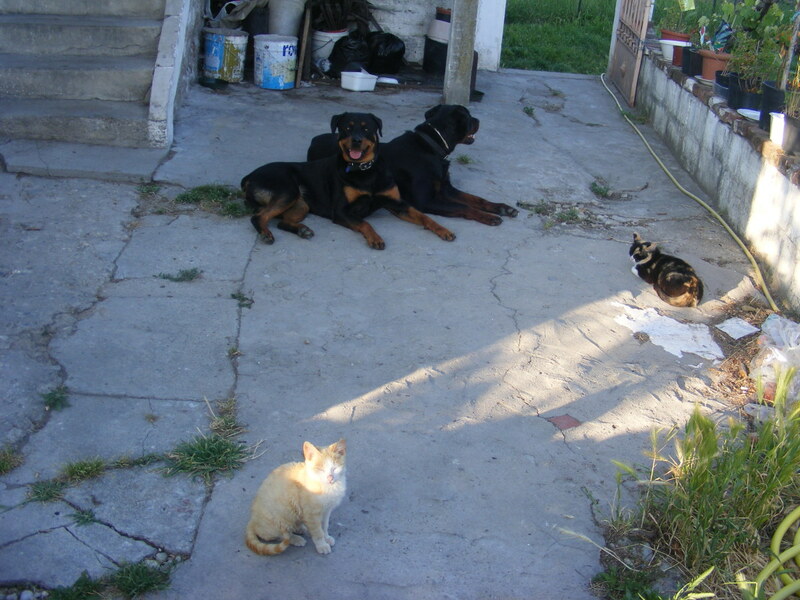 As I write this, my spouse and I have two darling 12-year-old littermates. They are gentle and low maintenance, but they will eat too fast if we'll let them. Doing so can lead to a cat vomiting up the food they just consumed, which wastes money and leaves the cat hungry if the incident goes unnoticed for a while. 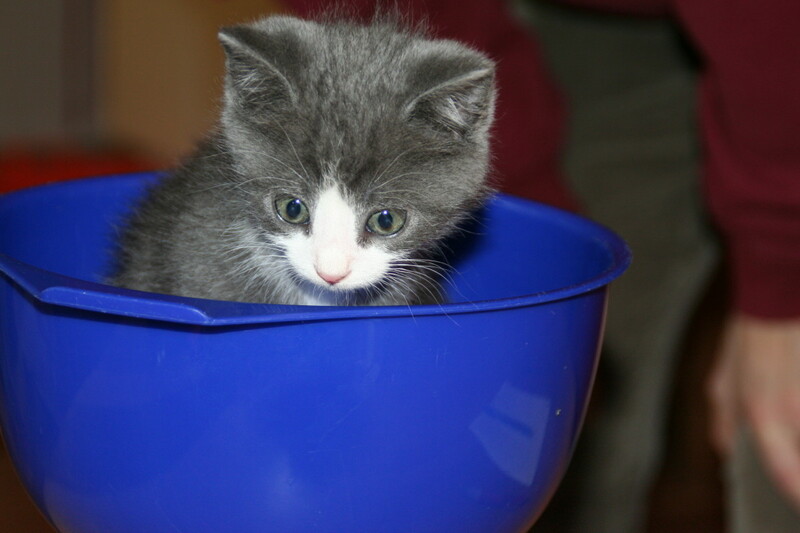 As with many things in life, there are several ways to help cats develop healthy eating habits. 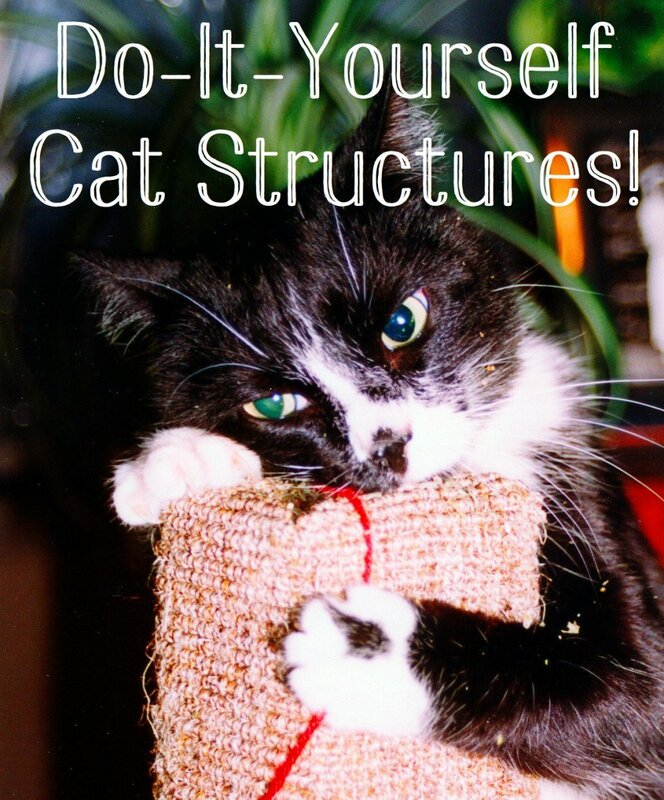 We'll explore them here, and you can try those that make sense for you and your feline pal(s). Please note that most of these methods can only be employed using dry cat food. I must admit that I have not personally had great results with automatic cat feeders. It probably had to do with choosing budget priced cat feeders. Still, you are different from me, and your cats are different from my cats—and I am the mayor of Obviousville! Take the Fast-Eating Cat Poll! How Fast Does Your Cat Eat? If I got anything glaringly wrong in the above poll's options, please consider that I know painfully little about comic book physics. These products come in varied designs, and they are all intended to engage cats' primal instincts during mealtime, which slows down their eating pace. At our house, we use this cat food puzzle as part of our cat feeding formula. Kitties crave engagement of their senses, well, except when they're sleeping, which seems like always. At my house, we use that craving to force one of our cats to eat slower. We use a cat feeder ball, which is a hollow, plastic ball that opens to allow you to pour your cat's dry food into it, so it can be dispensed out of the holes. 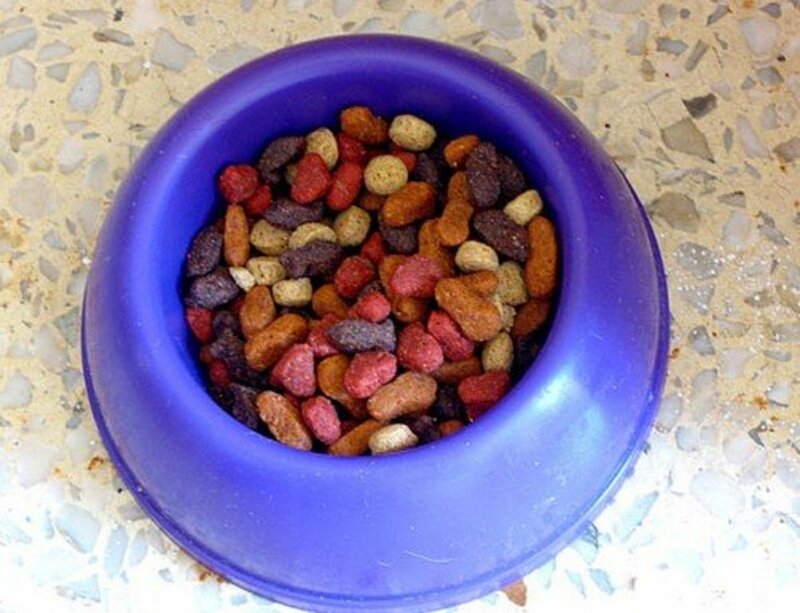 After you put the measured amount for your cat's meal into the ball, you replace the cap and allow your feline to bat the ball to gain pieces of yummy food, which comes out of the holes in the ball. The model we use has adjustable holes, which allows us to control the rate at which food drops out of the ball. We set it so just one or two pieces come out at a time, and our larger, food-oriented kitty has yet to send us a complaint email. Like food puzzles and feeder balls, this method forces your cat to burn energy and mentally engage during feeding sessions. Place a few, small cat dishes about your home. Try to hide them under beds and in corners. If you have a cat that likes to leap and climb, pick a safe, high place to leave a little plate for your inquisitive, daring pet. As my departed, country grandmother might say, "This one sure sounds messy. Don't it?" 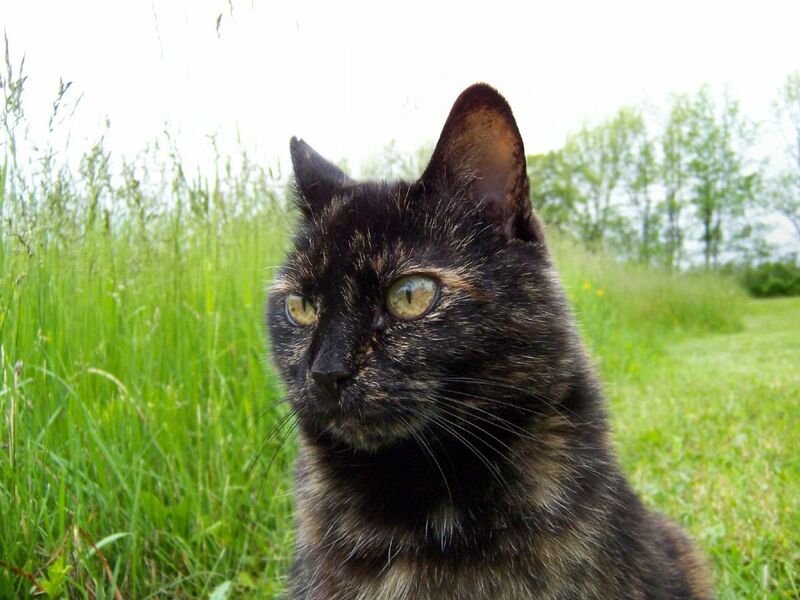 But think about it: If a cat has to walk and sniff from one morsel to the next, they will naturally take longer to eat their meal than if it rests right before them in a bowl. If you choose this method, be careful not to let any food bounce or skid under low-sitting furniture. Your cat might not find it, which would contribute to Granny's existential mess! We do it at my house. Our smaller cat does well with a food puzzle, but his bigger litter mate still eats too fast with puzzles, so we use a feeder ball for him. He mildly voices his displeasure, but he also eats more slowly and does not regurgitate his meal. What's a good cat-watering strategy? 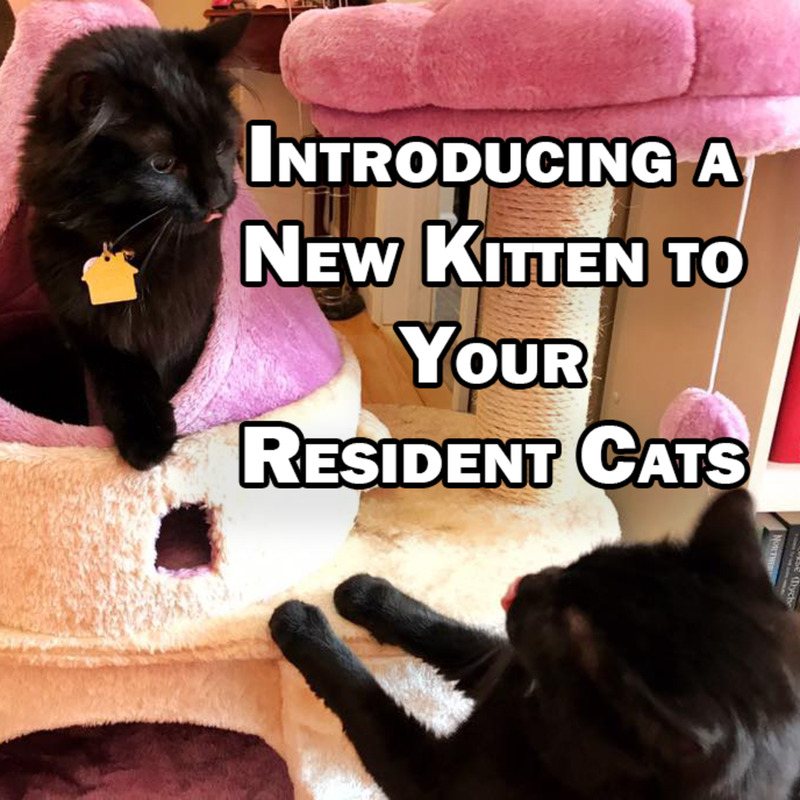 You can leave and regularly refresh water bowls throughout your home, or you can acquire a cat bubbler, a.k.a. 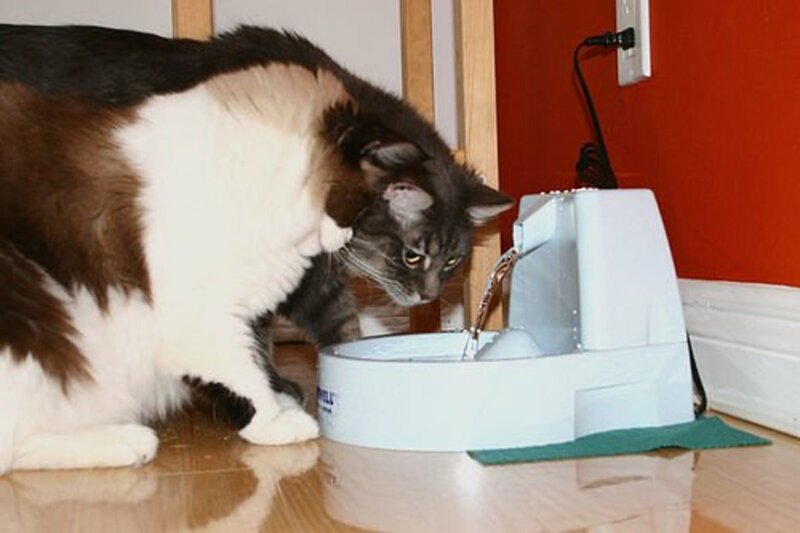 a cat water fountain. 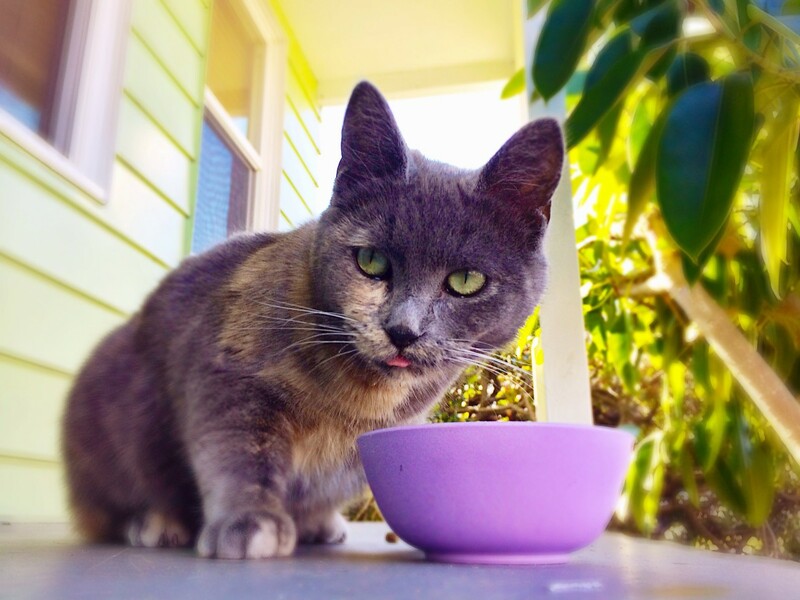 These items engage cats' senses with sounds and action, and those facts can make your cat more likely to knock back some aqua—which helps them stay hydrated and helps them digest dry cat food. 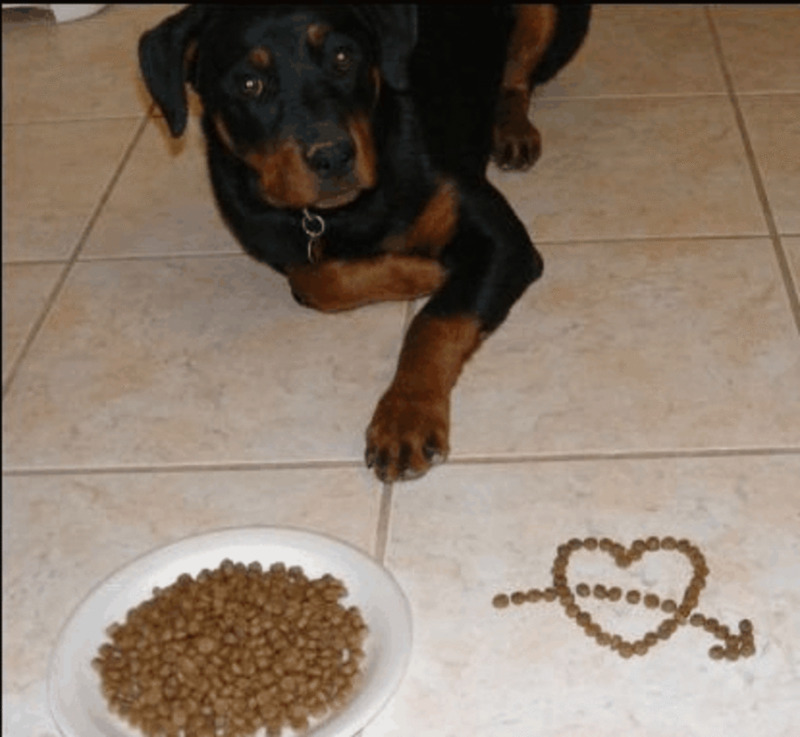 As with all pets, and cats especially, finding the right feeding method may require multiple attempts. Please promise Uncle Regi (that's me, sort of) that you will remember that you love your cat. After all, there's at least a 4% chance that it loves you back! Thank you for reading my nonsense, and if you have made it this far, I hope you will share it on your socials! Oh! And my cats say hello! Well, actually, they say, "Meow!" Scheduled Feeding Times Will Help Any Cat. 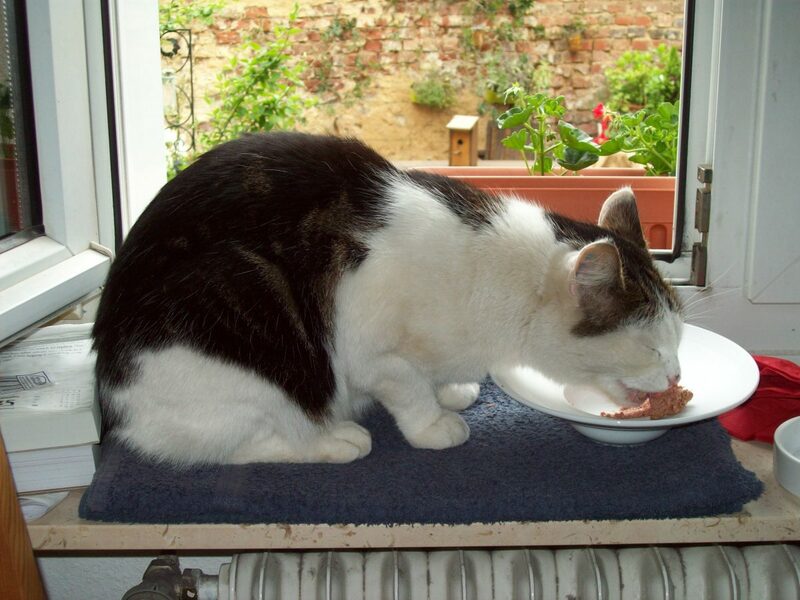 Can My Cat Eat Tuna?